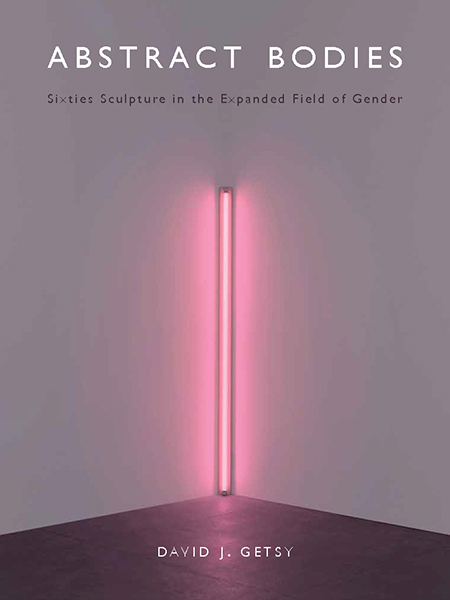 David Getsy’s new book, Abstract Bodies, is eye-opening; by applying the field of transgender studies to the discipline of art history, he offers a new and revelatory approach to long-standing debates around abstraction and figuration in 1960s art. The book focuses on works by four major artists: Dan Flavin, Nancy Grossman, John Chamberlain, and David Smith; in the excerpt below, Getsy sets the scene using one of the kernels of inspiration for the entire project. David Smith once said starkly about his sculptures, “Well, they’re all girls, Frank….I don’t make boy sculptures.”The “Frank” in question was the poet and curator Frank O’Hara, and the context of this enigmatic claim was an interview with Smith in 1964 for the public television series Art New York. Smith’s assertion that he did not make “boy sculptures” runs counter to what one might expect of his work, especially that of the 1960s. He had risen to prominence as the most important American sculptor of the past two decades, becoming known for his predominantly abstract, welded metal sculptures. Given his sustained advocacy of abstraction, his repeated claims that words fail or limit art, and his insistent strategies for achieving formal and semantic openness and variability, it might at first seem easy to dismiss this casual and reductive statement as inconsequential. It was, after all, made as an off-the-cuff remark in playful banter with O’Hara, whom Smith had known for years and who was in the process of curating his third exhibition of the sculptor’s work. 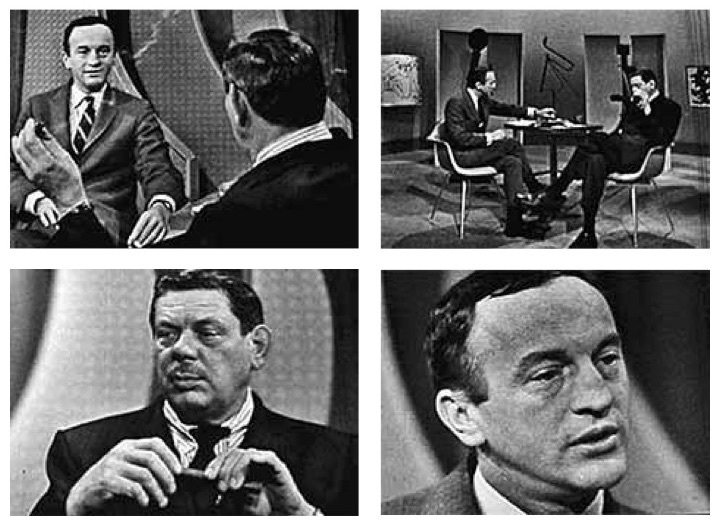 Stills from Art New York: The Sculpting Master of Bolton Landing, 6 November 1964. This comment, however, has not been disregarded. Quite the contrary, it repeatedly resurfaces in the Smith literature, where it is frequently taken as a self-evident and uncomplicated statement of intentionality. Its applicability to Smith’s work has been propagated ever since its first publication in 1966, when it was singled out for inclusion in Art in America’s special issue commemorating Smith after his accidental death in 1965. Subsequently, it has been a recurring epigram in the writing about the sculptor, and many treatments of this comment attempt, directly or obliquely, to prove that its comprehensiveness fits his works. Smith’s sculpture, to the contrary, does not fit. Both his works and his many other statements on artistic practice evidence a far more sophisticated agenda that the reductiveness of “I don’t make boy sculptures” fails to accommodate. His sculpture was astonishingly complex in the ways it sought to reconfigure the statuary tradition, struggling with how the figural could be rendered without resemblance to actual human bodies. “My concept as an artist is a revolt against the well-worn beauties in the form of a statue,” he asserted. Smith’s works willfully eschew mimesis of the body as a means of creating new, previously unimagined, configurations, which nevertheless allude to or invoke the human figure. As Alex Potts has remarked, these new images are “incongruous yet compelling ciphers of subjectivity.” Why then, has this complexity been made to conform with an offhand jest made in a televised interview? Crucial in this story is the role of O’Hara as interviewer and friend of Smith. Even though O’Hara curated three exhibitions of Smith’s work and wrote essays for journals and catalogues on the sculptor, his contribution to Smith’s career has rarely, if ever, been acknowledged. As an object of historical inquiry, the back and forth between Smith and O’Hara offers an opportunity for what Jane Gallop has called anecdotal theory – in which a minor incident registers or reframes broader conceptual questions. Despite the quick and jovial nature of this exchange and its over-simplification, this episode exposes larger questions about gender assignment to abstract statues. Such questions are fundamental to Smith’s work and determining of its reception in postwar art and criticism. In attempting to dethrone the assumption of uncomplicated intentionality attributed to Smith’s statement, I am not seeking to prove him right or wrong, nor am I attempting to figure out if, when we are confronted with a Smith sculpture, we really are seeing a boy or a girl. Rather, by tracking the long-running investments in Smith’s work by O’Hara as they informed the intersubjective dynamic of the interview, I hope to demonstrate how the compulsion to assign gender to his statues points to a larger problematic for the rendering of the abstract body in the postwar era. This not only provides a better historical and historiographic understanding of this overdetermined epigram and of Smith’s artistic agenda. It also offers an opportunity to examine the often overlooked role of O’Hara in Smith’s career, and the following provides the first sustained art-historical account of their professional relationship. Through the lens offered by O’Hara and his interest in the sculptor’s work, Smith’s artistic practice was more complex and more interesting than he himself claimed in this bad joke that subsequently became a cipher for his work.